If you are someone who likes to listen to podcasts and learn more about the wine universe may I recomend you try out a podcast dedicated to wine. I recently discovered podcasts based off a friends recomendation and in the process I have come to enjoy a few of the one’s dedicated to wine. To start use what ever application you normally use for listening to podcasts. If you don’t have one I suggest Itunes. Once there try doing a search for wine related podcasts and you will come up with a pleathura of options. These options range from making wine more accessible, to the wine business, digging into a specific wine region and many more. What I enjoy about these podcasts dedicated to wine is that you have the opportunity to listen to interviews with the wine makers, Somm’s, and others in the business giving you a first hand perspective on what really goes on. Below are three of my current favorites. The Great Northwest Wine cast – This podcast is normally 20 – 30 min long and is dedicated to wines of the Northwest United states and British Columbia. The podcast normally picks a winery in this region and interviews the wine maker. This is a great podcast if you are intersted in finding great wines to try from the Northwest region and the background on this region. 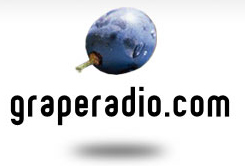 Grape Radio – This podcast is normally 45min – 1 hr long and aims to dig deeper into different wine regions and grape varietals. The hosts of the show generally interview someone from a winery within a region they are focusing on or that specializes in a varietal they are speaking about. The interviewers do a great job at digging deep into the whys which makes this a very informative program. I’ll Drink to That – This podcast is normally 50min – 1 hr long and aims to dig deeper into the wine profession. The host interviews someone normally from the wine industry and probes deep into the wine business. This podcast is great if you are looking to get a better understanding of how the wine business truly operates.Please let us know what wine podcasts you love as well. We are always on the look out for new and interesting storytelling, perspective, and information. Happy listening !